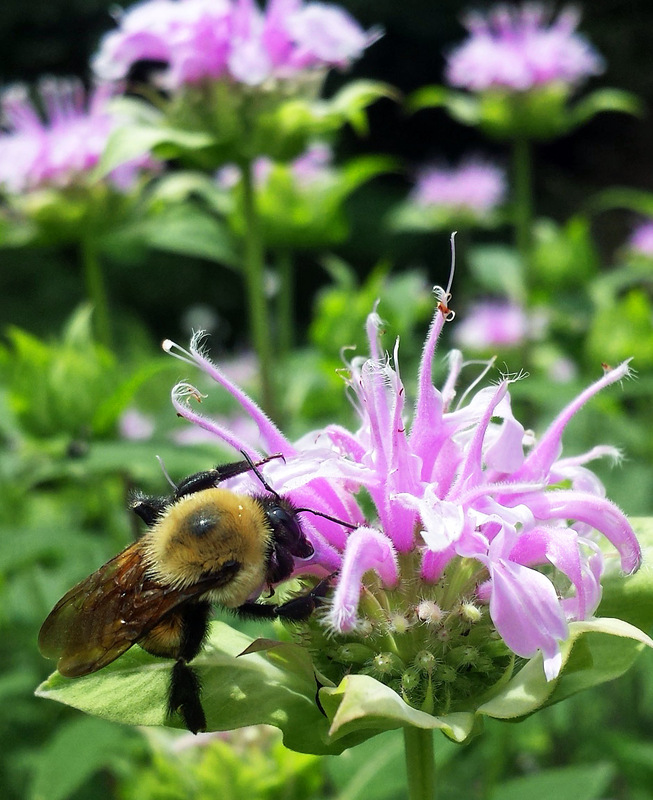 A native bee harvests nectar from native bee balm, or Monarda, in a Sharon, MA perennial and pollinator garden. 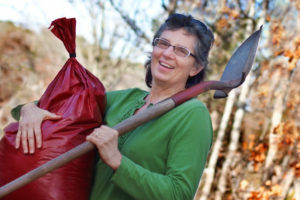 My general idea of a successful organic garden is to plant the right native plant in the right place in the right plant and soil community and let nature have its way. Native plants thrive in our native soils, support the local ecosystem by helping our birds and bees thrive. Just today in my backyard I observed a wren arriving at its birdhouse with a caterpillar and heard the choir of baby wrens competing with open mouths for that nutritious meal. Think about it. Everything we eat was once a plant, and without insects such as caterpillars and bees, we’d have no plants and no food. So plant a native next time, and you’ll be doing yourself and your neighboring ecosystem a big favor. This entry was posted in Native Plants, Pollinator Gardens, Sharon MA and tagged garden, MA, native bees, Native plants, pollinators, Sharon on July 24, 2017 by admin.